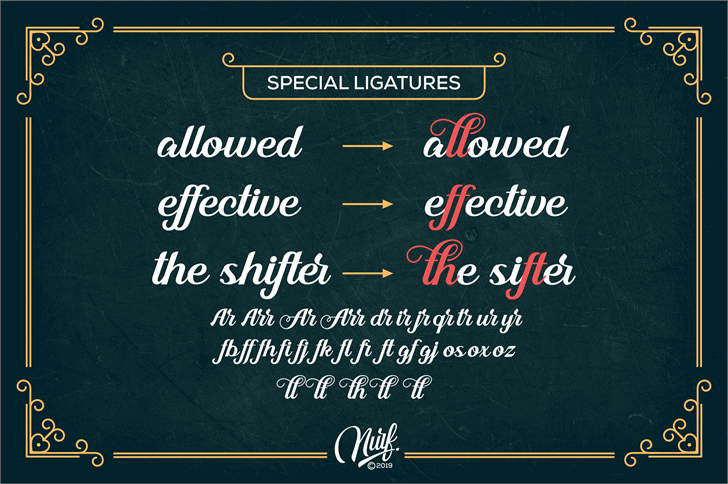 We present it to those of you who like modern calligraphy styles, scripts, and hand lettering. 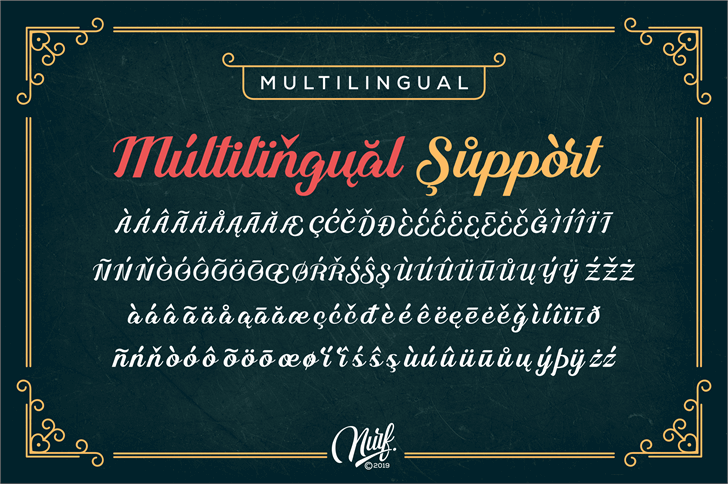 Inside there are more than 400 glyphs that we have arranged in such a way as to produce an appearance that is pleasing to the eye and easy to read. 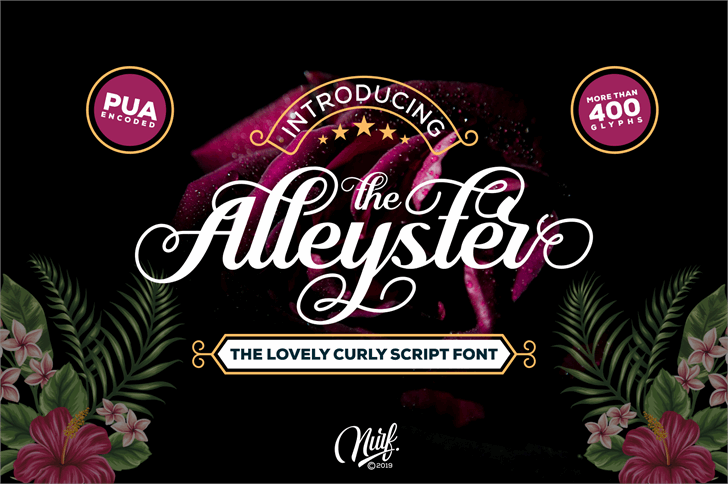 Alleyster is perfect for logotypes, headlines, titles, quotes, invitations, etc.